With arthritis becoming an increasingly serious problem with senior and elderly people, the results of a research study proves that virgin coconut oil may actually reduce inflammation is a welcome relief to scores of arthritis patients. The results have indicated the effects of using virgin oil for arthritis to be more effective than medications. Arthritis drugs can have serious side-effects and do not treat inflammation adequately. 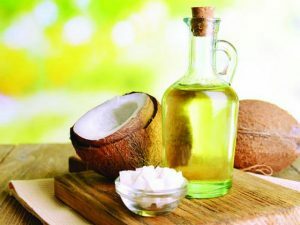 The study carried out to determine the effects of coconut oil on inflammation involved comparison of the action of the oil’s antioxidants against Indomethacin, which is a nonsteroidal anti-inflammatory drug (NSAID) usually administered for arthritis treatment. The oil seems to have more beneficial effects. The recent studies also corroborate the earlier findings involving coconut oil in treating illnesses. The studies noted the presence of lauric acid in virgin coconut oil in treating a long list of health ailments, thanks to its appreciable content of medium-chain fatty acids. Most nutritional experts opine that the information about the virgin coconut oil’s strong anti-inflammatory properties is important especially when you take in the fact that arthritis comprises more than 120 illnesses. And inflammation alone is said to be biochemically responsible for 72% of all illnesses. Dr. Bruce Fife, an author of the book The Arthritis Cure, mentions that there is mounting evidence that arthritis is mainly caused as a result of suffering from an infection. Yet antibiotics have zero effect on infections in joints. The structures are sheathed in a tough membrane which prevents the flow of blood into them. Therefore, an antibiotic can prevent a systemic infection, though the hidden bacteria in the joints can cause side-effects. Also, bacteria can only be prevented by antibiotics. Therefore, there is no effect, if any, on viral and fungal infections. So since antibiotics are not much of a help, what next? The infection problem is what makes coconut oil quite valuable. The medium-chain fatty acids of coconut oil are powerful anti-bacterial agents. Over and above, they are anti-fungal and anti-viral agents. Dr. Fife recommends consuming 2 to 4 tablespoons of coconut oil every day. This will help the body get rid of deep, chronic infections. You must remember that not all coconut oils available in the market contain the same level of antioxidants. The level depends mainly on the processing technique of oil and their natural condition. Go for virgin oils and not the refined types as they are quite good for your health. Even if you buy virgin oils, check if these are made using the wet-milling method employing heat. Do not choose oils that are processed using the cold-pressed method as they are good only for olive oil. But the antioxidants, on the other hand, are rich in coconut oil processed using heat.